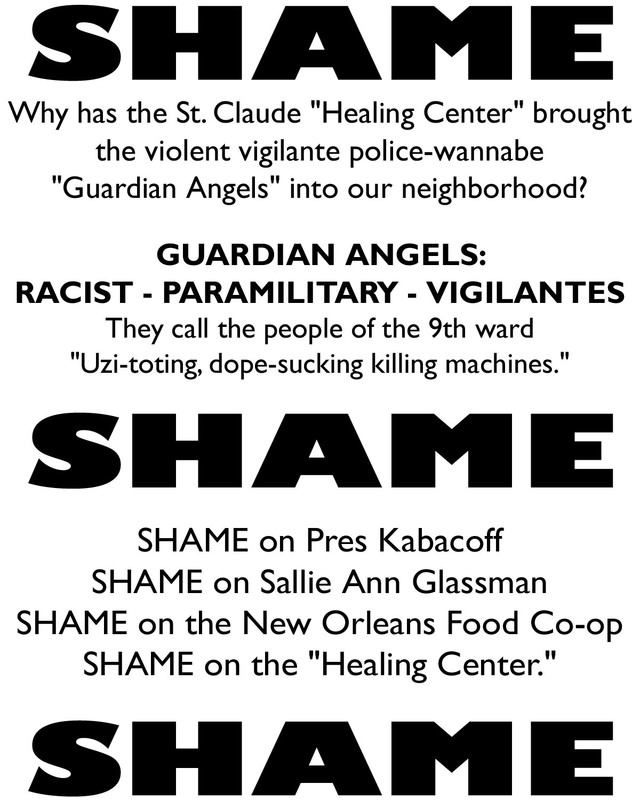 Join us this New Year’s Eve for a noise demonstration in front of Orleans Parish Prison. 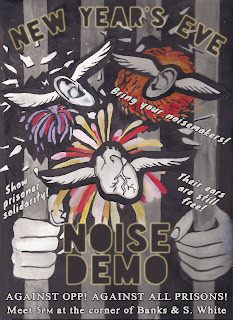 This ongoing tradition is part of the international call-out to bring in the New Year with noise demos against prisons, jails, and detention centers. Bring banners, loud noise-makers, pots and pans, brass instruments, sound systems, and whatever else you need to bring the ruckus. Please send this announcement to listserves and invite your friends. 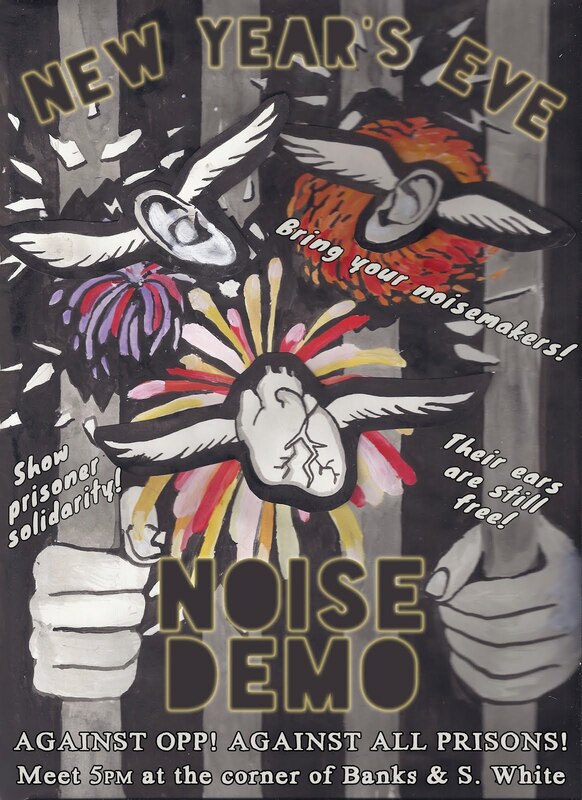 Noise demonstrations are meant to break the loneliness and isolation of prison by breaching the walls with the sounds of solidarity. This small gesture reminds those on the inside that they are not alone, indeed that there are many of us on the outside fighting for a world without prisons or the police that keep them filled. 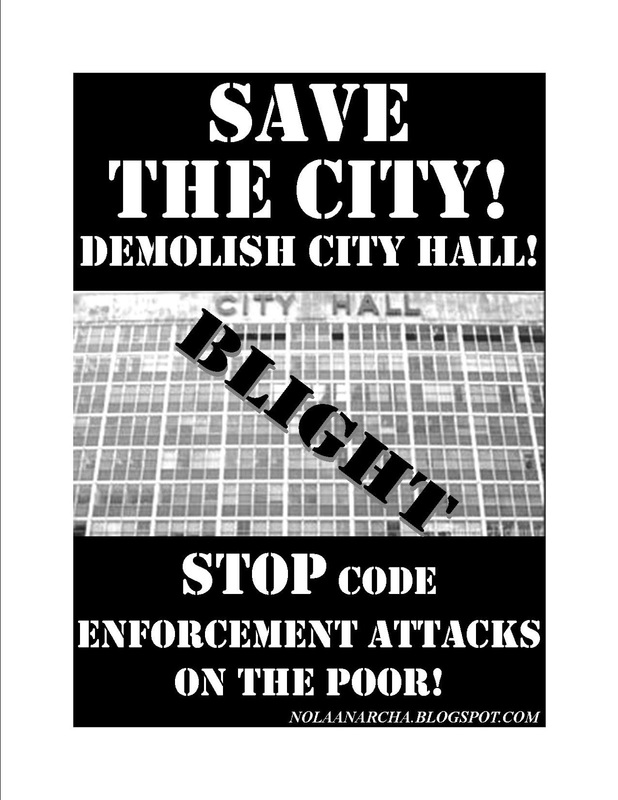 Noise demos also tell the jailers and police that no matter how many consent decrees they sign these coercive institutions will never become legitimate in our eyes; that something so inherently oppressive as a prison cannot be reformed short of being reduced to a pile of rubble. 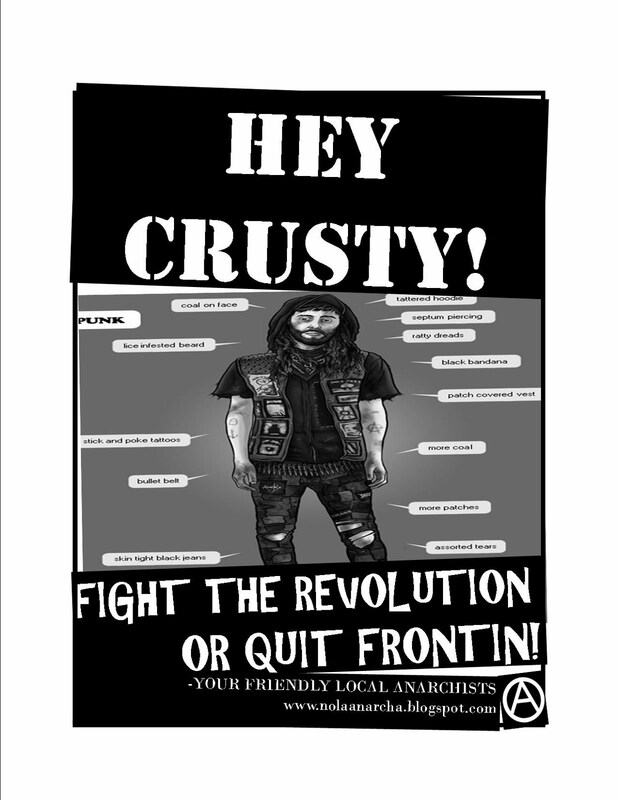 This year a special shout-out goes to the imprisoned Matthew Duran and Kteeo Olejnik, as well as Maddy Pfeiffer who has been ordered to turn themselves in, for refusing to cooperate with a secret federal Grand Jury investigation targeting anarchists in the Pacific Northwest. Through acts of solidarity and mutual aid we wish to tear down every prison wall, brick by brick. Please do a silent demo. Think about how your pots and pans actually sound to someone on the inside, please. People at noise demos tend to chant as they bang pots and pans so that no one misinterprets their intention. It sounds like your real concern has to do with your fragile liberal existence feeling threatened by a direct challenge to institutions that you're uncritical of, in which case you've reaffirmed what a great idea noise demos are. The first person's concern does not sound anything like a "fragile liberal existence feeling threatened." Noise demos serve a purpose. 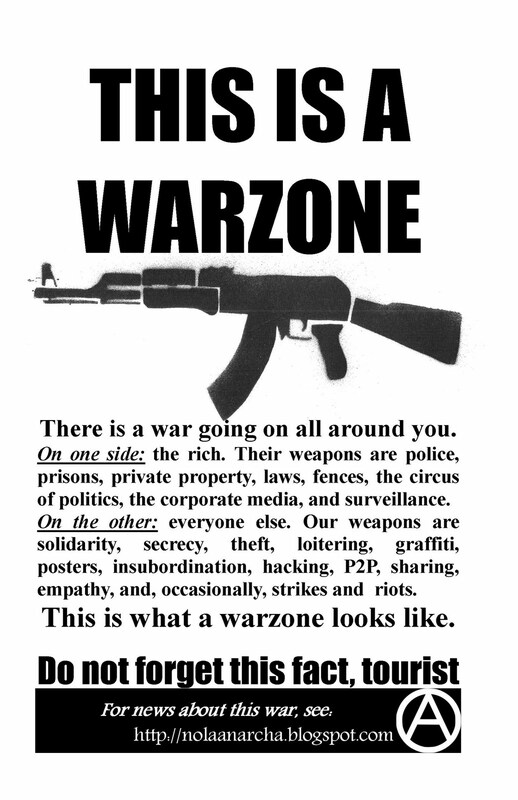 I am having a real hard time finding anarchists in NO... smh... I would love some contact info. Its good very arrogant to see the picture..
Oh! Astonishing post. 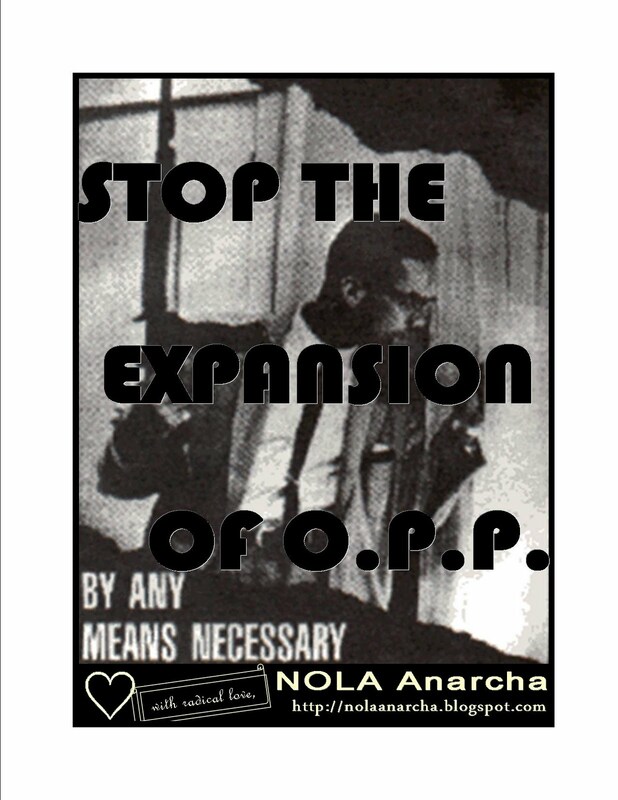 Really this site is exceedingly supportive for all concerning THE DESTRUCTION OF ALL PRISONS. I got few important helps from here and greatly recommended it. Unquestionably I will identify my relatives and relevant competitors concerning this blog and will wait for more. Thanks a lot……. The New Orleans Web App Development common by the side of delights fact on the subject of life is with the main purpose it can comply New Orleans Software Development it the changes on part of that can accurately New Orleans Application Development take over the system item or obsessions by the side of real or true way of ordering the best or high quality New Orleans Video Production parts. The djs in baton rouge is all meant to rule the market and they are known to capture all the best moments of your life. It is always important to hire professionals or experts who are related to this field for years. The baton rouge photo booth rental is something that is unique and it can all be delivered by expert artisans or photographers in the field. A warning. The FDIC was robbed throughout the 1990s and in 2000. The robberies are preplanned and approved of in some factions. Laws are written such as the FDIC Improvement Act 1992 and its Early Resolution Clause facilitated the robberies. A senior examiner fdic said they did not count the money leaving banks allegedly failed banks. We were stunned and injected repeatedly and maybe lobotomy. Some were raped some were killed and 911 had been cut and or failed. Killers show up instead of cops. Memory erasing and loss of control of ones own actions such as phone conversations and signatures were common. I spent the night in the office and the robbers entered. They had come in as a commando raid during the day. The stun weapons may be from space or land. Hard wired or lasers. Hand clamps are used also and burnt red hot palms may be a sign if you were hit as we fdic bank examiners were. The raid party appeared as a government approved unit. Tape sealed doors and the robbers wanted me to burn the building. Others were already dead. I was to die next. I escaped later and would not ignite fire in the building fdic Roseville California also known as fdic Sacramento. The natural gas contracts sold to mobile Alabama were likely forced or coerced I suspect a lot of land giveaways thievery on the west coast oil fields and land transfers. Billions were given to Airbus of Germany and Toyota of japan and Mercedes of Germany to build in the USA. The signatures were forced or coerced. Chrysler corporation and Genentech were forced to leave the USA. 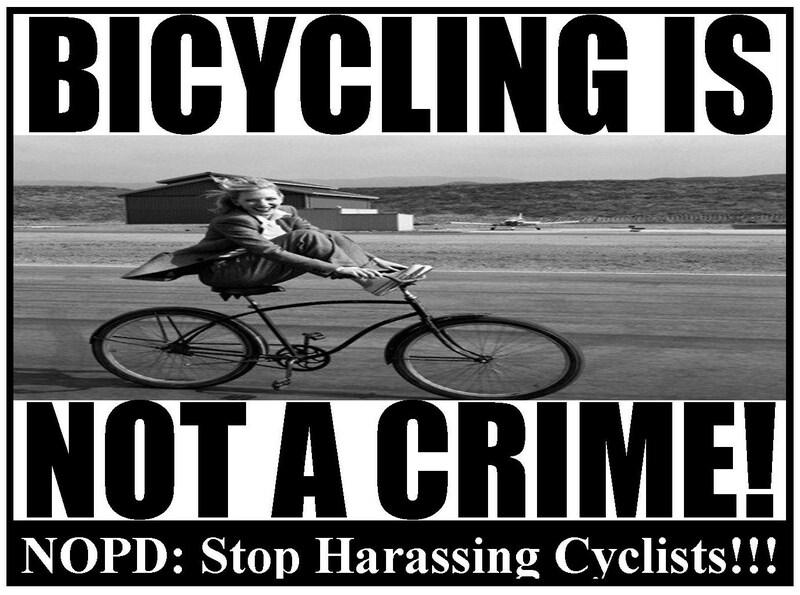 New Orleans should have the same rights as those in Seattle. Be wary of all government contact. Particularly the young. You do not know who is in control. It could be the same people who approve of the fdic robberies. Loomis armored robbery Sacramento 1999 is the only proof of the robbery and no one knows what happened. What happened was the guards were stunned and taken out of the truck. The truck was taken to a bank to fill up on uninventoried assets and then emptied. I was attacked in mobile Alabama before the Airbus warlords arrived. Stay away from their government. They have weapons at top we do not know. The 9 11 2001 events were a sock job. No planes hit nyc. The towers were wired or a stealth missile hit the buildings or a new weapon I envisioned based on another robbery the Yu Xhendong method where a/c ducts are used as a nuclear reactor of a sort. A nuclear blam. 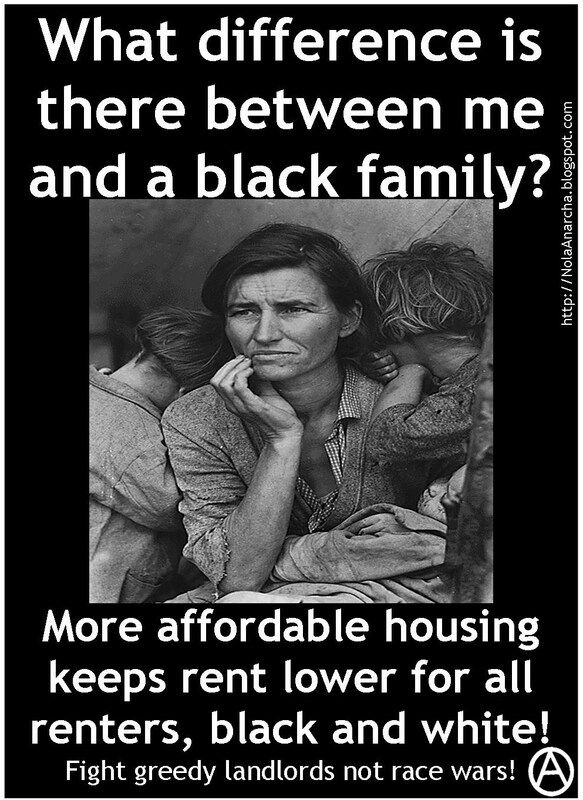 We have no government really. I am encouraging the young to flee north and out of the USA if a better place can be found. The UK had likely Been taken over long ago as well. Wow! This is awesome!Thank you so much for these resources. I will definitely be doing these tips soon!